A beautiful smile can be as simple as that! Some people have naturally straight and beautiful teeth. Others may have tooth defects making them feel uncomfortable and unhappy with their appearance. A modern and contemporary method called In-Line® makes it possible to correct teeth that are too far apart or teeth that are overcrowded. Think how much more confident you will feel with a beautiful new smile! What makes our system so different? In-Line® is almost transparent and at the same time gently moves the teeth. In-Line® consists of a set of removable clear plastic braces, which means the teeth are corrected and repositioned without the need for uncomfortable and unsightly metal braces. Is the system suitable for me? The system is suitable for patients of at least 15 years of age. 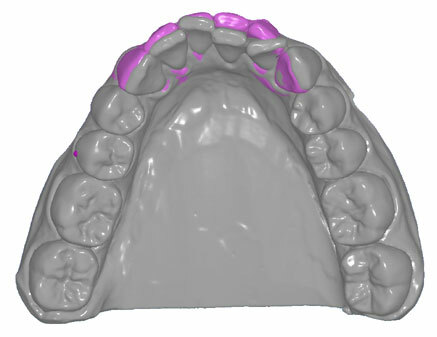 The system is able to correct almost all cosmetic cases of "crowded" or "gappy" teeth. Many patients also find that In-Line® treatment leads to an improvement in the maintenance of good dental hygiene and therefore an overall improvement in dental health. How do our clear aligners work? In-Line Clear Aligners are made in Germany from a patented powerful twin layer plastic material. Each aligner moves teeth by up to 0.6mm and a series of aligners are required to gradually move teeth into their required position. 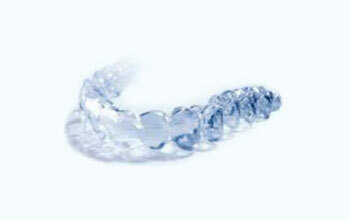 Each clear aligner is worn for 4 to 6 weeks. They are worn on average 20 hours per day and can be removed for eating, drinking and for social events if necessary. They are transparent, virtually invisible to other people and are very comfortable to wear. Specialised orthodontic technology is used by the technicians in the lab in Germany to accurately and safely predict tooth movement. In cases of crowded teeth, instead of teeth needing to be removed, some Interproximal Reduction (IPR) or “slendering” of teeth can be carried out at successive visits to allow for the correct tooth movement. This is a quick and painless procedure carried out by your Dentist to a prescription sent by the lab. The IPR if required is only from 0.10mm to a maximum of 0.3mm on any tooth surface and is not noticed. Preview pictures can be requested which will show the final result before treatment starts, so that you know exactly how teeth will look at the end of treatment. At the beginning of treatment your Dentist will give you an instruction card on how to care for your aligners and a small case to store them when removal is required. Successive appointments are then made to change to the next aligner and check if any IPR is necessary. As with all Orthodontic treatment a form of retention is required at the end of treatment. There are two options. Either a removable retainer or a fixed retainer must be made to hold the teeth in position, as moved teeth have a strong memory to move back to their original position. Both options will be discussed with your Dentist to decide which is best for you. In-Line has successfully treated thousands of patients since 2004. It has been constantly improving the orthodontic technology over that time so that teeth can be straightened quickly and cost effectively in a safe way that is comfortable and easy to do, without anyone even noticing! Metal braces and wire with sharp edges, which often cause oral inflammation, are no longer necessary. You can remove the splints while eating, drinking and for daily oral hygiene. This means you are not faced with any inconvenience in your daily life, as you can brush your teeth as usual.